This past weekend, representatives from GameSalad were proud to present at the Center for Serious Play’s Intensive Tutorial session. 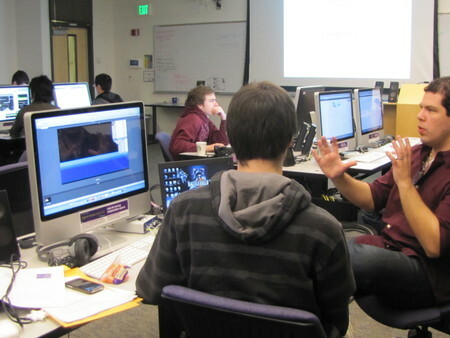 Intensive Tutorials at the University of Washington were designed to teach aspiring game developers the tools used in the game industry. 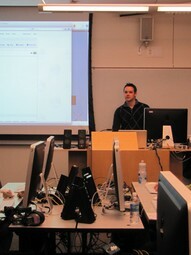 Lead by industry professionals, student receive a hands-on look at working in the games industry. Participants were challenged to create a sample game in which a tugboat had to navigate across icy waters. 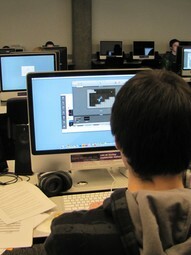 Over the course of one day, students were able to utilize GameSalad’s no coding-programming technology to create concept games with score counters, fuel, and a game-over mechanic. Garretsen and Sones, with the help of Center for Serious Play, were able to record portions of the tutorial session and we have future plans to release a series of instructional videos chronicling their game theory discussions with the University of Washington students.